Home / Samsung Galaxy A3-2017 (SM-A320F / samsungfiles / SM-A320F/DS) Full Flash File Free. / Samsung Galaxy A3-2017 (SM-A320F,SM-A320F/DS) Full Flash File Free. Samsung Galaxy A3-2017 (SM-A320F,SM-A320F/DS) Full Flash File Free. Gsm Solution January 10, 2018 Samsung Galaxy A3-2017 (SM-A320F, samsungfiles, SM-A320F/DS) Full Flash File Free. 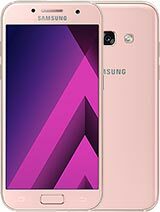 Samsung Galaxy A3-2017 (SM-A320F,SM-A320F/DS)Flashing Required File. 1# Download SM-A320F Firmware File. 2# Download SM-A320F/DS Firmware File. 4# Download Samsung Usb Driver. How To Flashing A3-2017 Phone? 7# Now open your phone your phone Samsung A3 -2017 Flashing Complite. SM-A320F/DS) Full Flash File Free.